Learn more about how we are creating successful inbound marketing programs for our clients. At LeadG2 we’ve worked hard to build a team of dedicated consultants that are not only expert inbound marketers, but that also understand the needs and challenges of sales departments across industries (see a full list of clients we’ve helped here). 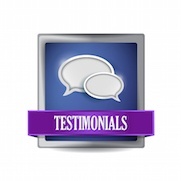 Check out some of our testimonials and case studies to get a feel for our client’s success. If you have specific questions about how we can help your business or our experience with your industry, set up a consultation or send us a note and we can provide some customized feedback and ideas. I wanted to let you know how impressed I am with you and your inbound team. Dani Buckley has defined a customer focused approach. She has rolled up her sleeves and jumped in to do the work with us as well as giving quality coaching and best practices. You set the foundation and your team has helped us achieve our lofty goals and innovative ideas. Inbound marketing is a strategic initiative that helps companies improve... even non-profits! Working with LeadG2 and The Center for Sales Strategy helps all the tactical work stay focused on the overall strategic campaigns. They are inbound marketing professionals. LeadG2's Inbound Marketing Team showed us how to become the hunted, not the hunter. We truly value the partnership we have with LeadG2 because they answer the questions before I ever ask them. They are always one step ahead of any digital marketing changes, adoption and where we need to be in order to stay relevant and produce content that attracts our target audience. They make the process easy and as streamlined as possible. After getting started we saw our number of website visits increase 800% just three months into starting our blogging and inbound marketing efforts. Making the choice to team up with The Center for Sales Strategy and LeadG2 has proven to be a very wise one. Their services and expertise have helped jumpstart growth and maturation of our online presence, and has helped develop our own skill-set in how to manage this going forward. 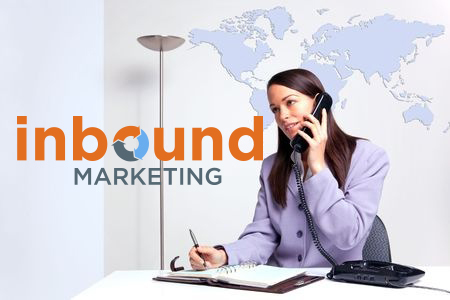 Inbound marketing is working very well for us and has driven more qualified leads to our clinic. We are very happy with the results of our online marketing campaign and we owe that success to CSS! I wanted to drop you a short e-mail from Efficio thanking you for all of the work and guidance your team provides in assisting Efficio in actualizing our own In-bound marketing effort. Hard to fathom that we have been clients for a little over a year now, and the guidance and assistance Brian and HubSpot have provided during this time has enabled Efficio to get our own inbound marketing efforts off the ground, and have helped us turn lead generation in an effective and valuable source of business for Efficio. Working with LeadG2 has allowed us to eliminate the need for a full-time person to manage our inbound marketing initiative, while allowing us to focus more on being thought leaders and creating great, compelling content. We’re now able to be strategic in our online lead generation efforts, and the growth we’ve seen in one year has been tremendous. Brian and the LeadG2 team took what seemed like a scary new world and made inbound marketing very easy to understand and implement. We saw measurable results within weeks of launch and those results continue to grow each month. With inbound marketing & the LeadG2 team we are able to attract the right kinds of prospects to our website and turn these online visitors into clients quickly and easily. Which Industry Are YOU Looking for Success With? Solutions to Help Build Your Own Success! Immediately setting measurable goals and regularly reviewing analytics and results, while adjusting strategy and tactics as needed. Develop and implement lead nurturing campaigns utilizing blog and premium content that moves leads through the sales funnel. Set up your Facebook, Twitter, Google+, YouTube and LinkedIn accounts. We will also post to your pages and develop special landing pages and designs. Author and post SEO optimized blogs on behalf of the client, based on the number of monthly blog posts within the service level. Staff of authors and graphic artists create premium content items such as whitepapers, e-books, research papers and more..
Research and develop a keyword/SEO strategy for clients in order to optimize blog content, increase blog traffic, and qualified leads. 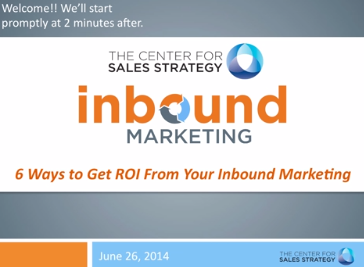 Take 30 Minutes and Learn How Inbound Marketing Can Generate Leads, Increase Sales and Increase Online Visibility! As one of the only inbound marketing agencies with a foundation in sales training and sales performance we understand how to help companies generate leads and sales using inbound marketing. Learn How Mayfield Plastics Generated Leads with Inbound Marketing. Learn How Hubbard Media Started Generated Leads Fast. Learn How Hiregy Successfully Implemented an Inbound Marketing Program.